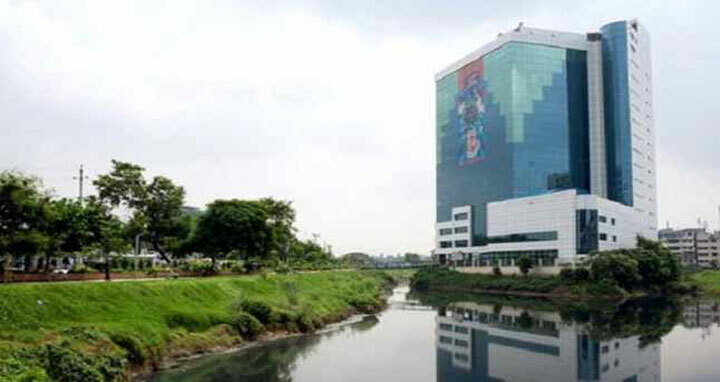 Dhaka, 27 Mar, Abnews: The Supreme Court on Tuesday asked the Bangladesh Garment Manufacturers and Exporters’ Association (BGMEA) to give an undertaking saying that it will not file any more time petition over relocating its building from the capital’s Hatirjheel area. The Appellate Division of the Supreme Court on Tuesday asked the Bangladesh Garment Manufacturers and Exporters’ Association (BGMEA) to give an undertaking saying that it will not file any more time petition over relocating its office from the city’s Hatirjheel area. The SC will consider their time petition this time once it gets the undertaking in this regard, reports UNB. A four-member SC bench, led by chief justice Syed Mahmud Hossain, took the decision. Lawyer Kamrul Haque Siddiqui and Imtiaz Moinul Islam stood for the BGMEA while attorney general Mahbubey Alam for the state. Earlier on Sunday, the Supreme Court set Tuesday to deliver its order on the time petition filed by the BGMEA. On March 5 last, BGMEA authorities filed a one-year time petition with the Appellate Division as its seven months’ time given in September in 2017 by the SC for relocating its office building expired in March. On the day, the BGMEA lost its last legal battle to keep its structure intact on the scenic waterbody as the Appellate Division rejected its plea seeking review of its judgment that upheld an earlier HC verdict, ordering demolition of the structure. The BGMEA later filed a leave-to-appeal petition with the Appellate Division against the High Court judgment. On June 2, 2016, the SC dismissed the plea as well as asked the RMG producers to demolish its headquarters at once and at its own cost.